As one of the principal consultants, CEO, and Head of Product at NIFTIT, my time spent on reviewing reports is crucial to gather the trends and set the direction of the company. Whether it is financial reports, projects status tracking reports or marketing SEO assets, having an up-to-date and instantly available dashboard where I can crunch and compare all of the data is key. So as soon as PowerBI launched, I was hooked. Below is my quick Power BI review based on my experience. The first thing worth mentioning, the free version of the PowerBI is available to all users of our organization under my current Office 365 subscription without any additional fees. From the authentication to the service connection, since the platform is under the Microsoft umbrella, I have been able to cross capture and analyze data. From our emails, our SharePoint files or OneDrive environment, all the data is available in just few clicks and can always be accessed from the platform. Additionally, Microsoft puts great thoughts into integrating with 3rd party external services and the one which we are currently using, extends from Zendesk, Quick Book Online to the Google Analytics service API. When you are on PowerBI, you have access to all other applications available under your subscription via the app launcher. 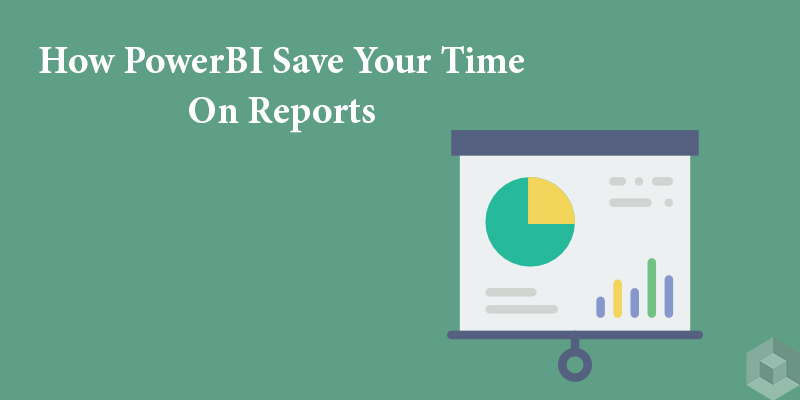 For simple usage, creating basic reports is very intuitive on PowerBI Online or the Desktop application. PowerBI is a great tool for SMB (small medium business) owners to get quick reports generated in a single hub on the go. Within few hours, I have aggregated our Time Tracking reports, Marketing SEO reports, GitHub status and basic invoicing status into one controlled environment. For advanced usage, plenty of online training courses and resources are available for you to extend the features from PowerBI. An example of our Google Analytics report created using the PowerBi Content Pack. Each created report and dashboard can be shared easily to all/part of your organization or embed to other platforms. It allows us to not only collaborate during the building phase but also easily distribute reports while still maintaining a single source or version of the asset. Once again, since it is all controlled under the Microsoft O365 environment, I do not have to login or store multiple credentials to access to all reports. My main credential used for email, file access is also the one used to access reports. Hopefully, this Power BI review gives you some useful information. More questions? Contact us!